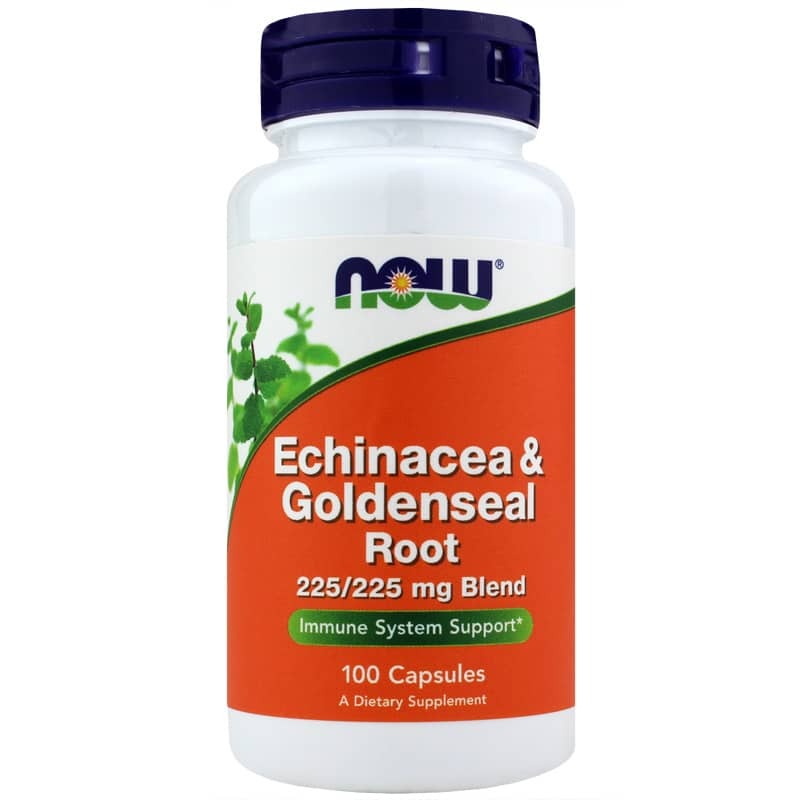 Echinacea and Goldenseal Root from Now Foods is a dietary supplement to support immune health. Individually, both echinacea and goldenseal may promote your bodys overall immune function. Echinacea may help boost your immune system to reduce the risk of catching a cold or flu, as well as supporting pain relief and antioxidant activities. As for goldenseal, its berberine constituent may help fight different types of bacteria. 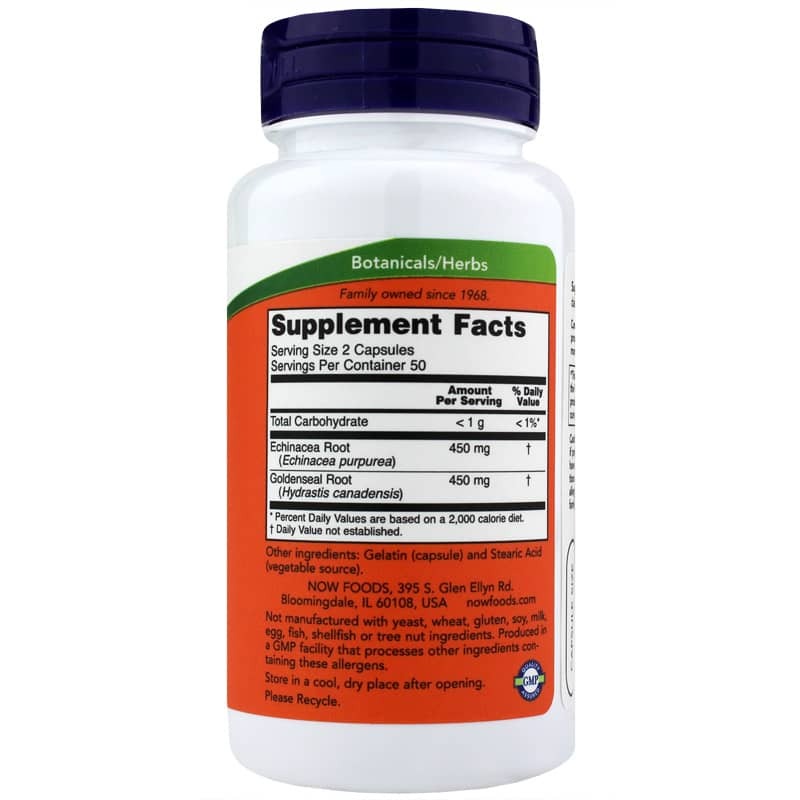 Berberine may also have both antibiotic effects and the ability to combat other infectious organisms, including yeast, tapeworms, and giardia. When echinacea and goldenseal are combined, however, a unique synergism occurs that may promote overall wellness. Bringing together echinaceas immune boosting qualities with goldenseals ability to fight off microorganisms may help build up resistance in your body while fighting the microbes that compromise it. Other Ingredients: Gelatin (capsule) and Stearic Acid (vegetable source. Not manufactured with : yeast, wheat, gluten, soy, milk, egg, fish, shellfish or tree nut ingredients. 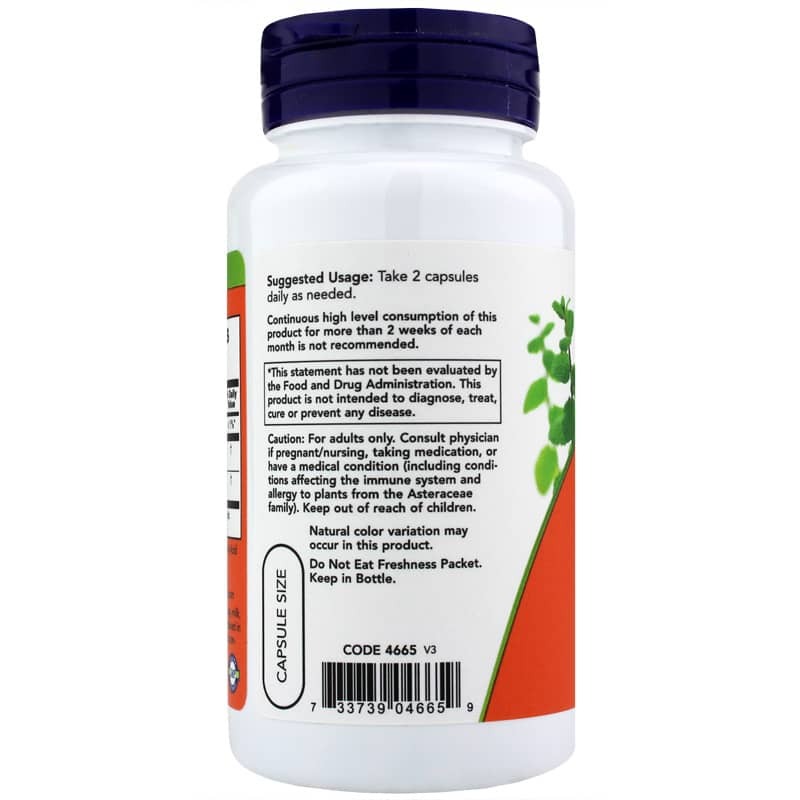 Adults: As a dietary supplement, take 2 capsules daily as needed. Continuous high level consumption of this product for more than 2 weeks of each month is not recommended. Caution: For adults only. If you are pregnant or nursing, please consult your healthcare professional before using this product. Keep out of the reach of children. I keep this on hand to use when I think I might need to boost my immunity and it seems to help.